Greenie’s Globe is a green portal with resources on environmental issues, green living and sustainable business. Greenie’s Gazette is a blog of Greenie’s Globe. Such a blog was necessary to discuss some of the topics mentioned on Greenie’s Globe website in finer detail. Besides, this blog provides an opportunity for readers to leave comments on issues of their interest. Greenie’s Globe has adopted a three-pronged approach to understand and address sustainability, namely – issues, solutions and business. While the “issues” section discusses the various environmental problems facing us, the “solutions” section suggests various means and methods to counter those problems – including how to Go Green. The “business” section was thoughtfully added as Green Living practically impossible unless “eco-friendly” versions of items of daily use are made available by businesses big and small ! Twelve different Green Living Steps – as ways to go green – have been recommended and dealt with in detail on this website. There will be a special report on World Environment Day, every year. A Newsletter is there to send exciting “actionable” Green Living Tips directly to the mail box of the readers who will subscribe to it. This is a must-check-out portal ! 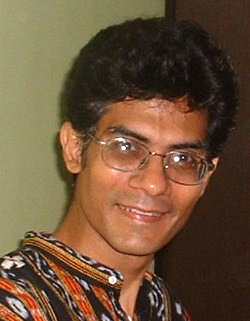 Surojit Gupta is a Blogger and Green Marketing Consultant. He is the Founder, Owner and Writer of the green portal Greenie’s Gobe. He writes on Green Living, Sustainable Business and Self Development. Apart from Spirituality and Green Living, his interests include small business, handicrafts, nature photography, herbalism, vegetarian cuisine, ecotourism, folk music and meditation. He can be reached at surojit_guptaATyahoo.com.